Anniversary Balttour 2018 attracts more visitors than last year! The 25th anniversary edition of the International Travel Trade Fair “Balttour 2018” that was attended by 860 travel and tourism industry enterprises and their representatives from 39 countries worldwide closed on February 4. A total of 29,630 stakeholders willing to learn about the opportunities for tourism in different countries, to discover new routes, to purchase trips for themselves or their families visited the fair this year, that is more than last year. 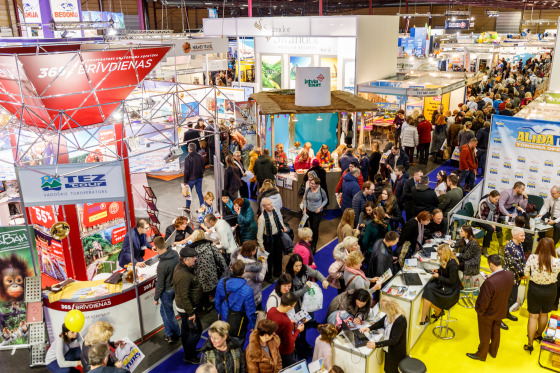 A three-day travel sale was in full swing in the Balttour 2018 thematic hall “Discover the World!”! The visitors had an opportunity to get acquainted with both the versatile travel offers in our neighbouring countries – Estonia and Lithuania –, and the most popular tourist destinations in other, even the most exotic countries. 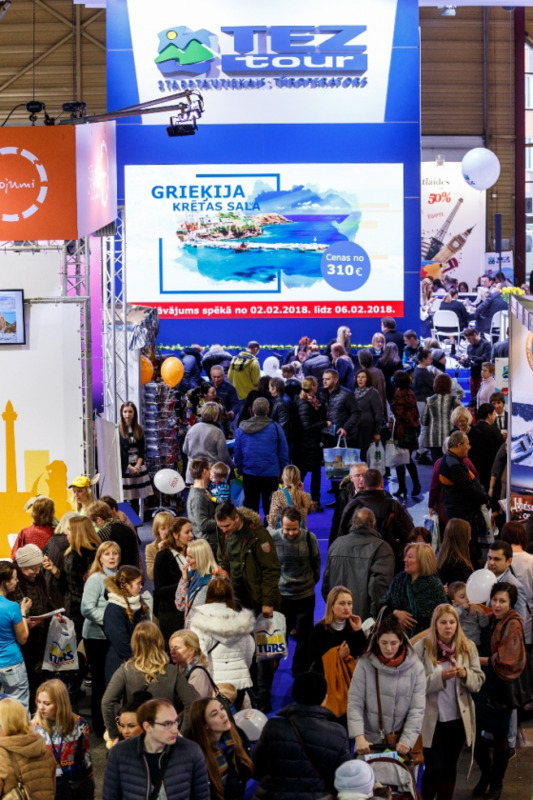 Iceland was represented at “Balttour 2018” for the first time, while travel and tourism professionals from the USA, Bulgaria and Cyprus attended the fair after an extended break. "Balttour 2018" offered to discover not only the opportunities for tourism in almost 200 countries worldwide, but also cultural differences, national cuisine, folk costumes, even songs and dances! Moreover, the Ministry of Foreign Affairs and the National Customs Board of the State Revenue Service informed visitors on smart and secure travelling, terms and conditions to keep to in order to get the most out of your travel adventures. In the thematic hall “Travel Latvia!”, Riga for the first time was represented by Live Riga offering a beautiful stage design for the opening ceremony and the extensive cultural programme, as well as an attractive photo booth available for visitors all three event days. Latvia’s regions – Kurzeme, Zemgale, Latgale and Vidzeme – offered glamourous presentation in bright and beautiful stands! Local tourism experts surprised visitors with countless new routes, destinations, events and attractive deals. Both adults and kids were welcome to engage in various activities – to take part in master classes, to play exciting games, to try maintaining balance on a paddle board, to join virtual cycling competition and much more. Moreover, visitors could enjoy an extensive culture programme on the Big Stage throughout all event days! 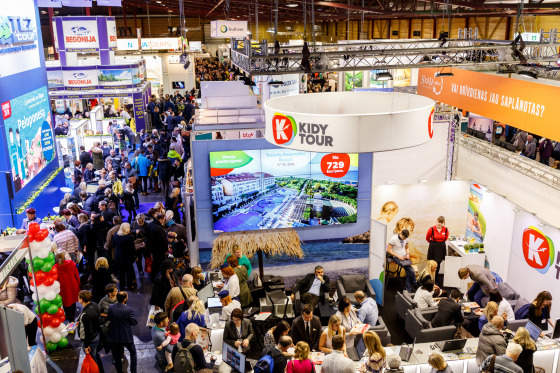 “Balttour 2018” was attended by 29,630 visitors, including more than 5,500 travel and tourism industry professionals. The number of visitors has increased by 5.8% compared with the previous year. Many thanks to all the participants, partners and visitors of Balttour 2018! For three days, the spirit of travel and a festive atmosphere reigned over Kipsala! See you again at the 26th International Travel Trade Fair “Balttour”, February 1–3, 2019! 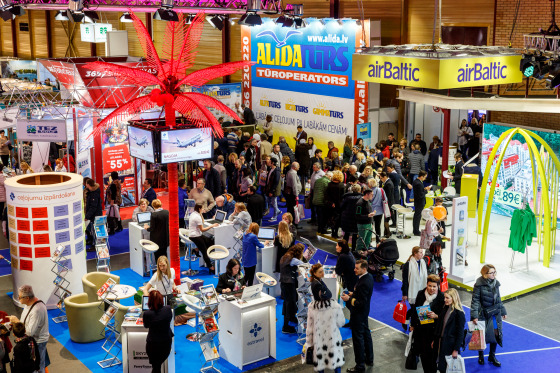 The International Travel Trade Fair “Balttour” is held by the Association of Latvian Travel Agents and Operators (ALTA) in collaboration with the International Exhibition Company BT 1.